White's win is the 100th gold medal in the Winter Olympics for Team USA. Shaun White is golden again. On his final run, White threw down back-to-back double cork 1440s showing off his signature amplitude to score a 97.75 to beat Hirano's best run of 95.25. James had his best score in the first run, scoring a 92.00. Since then, he’s changed his team and his outlook. Despite a horrific crash in training for these Games, he came into Pyeongchang with a more balanced approach to his riding. It has paid off in his progression. White, 31, has gotten comfortable landing variations of a double cork 1440, which is two off-axis flips and four rotations. It was the 100th gold medal for Team USA in Winter Games history and the fourth for snowboarders at these Games, following wins by Chloe Kim, Red Gerard and Jamie Anderson. 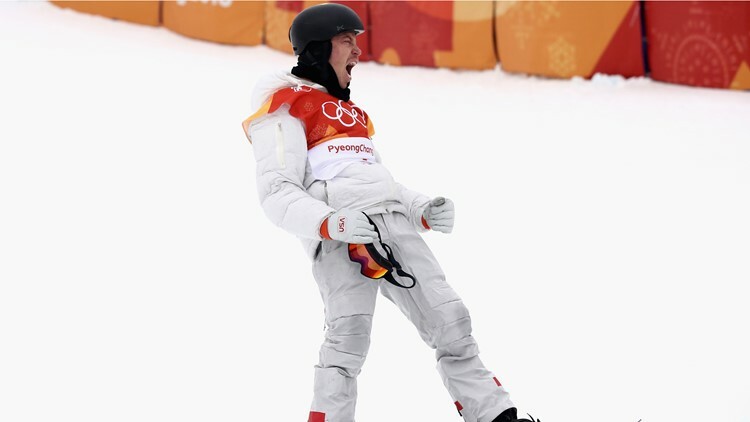 White becomes the first snowboarder ever to win three Olympic gold medals and is the first American man to win gold medals at three Olympic Winter Games. On Wednesday, he joined Hirano as the only riders to land them back-to-back.